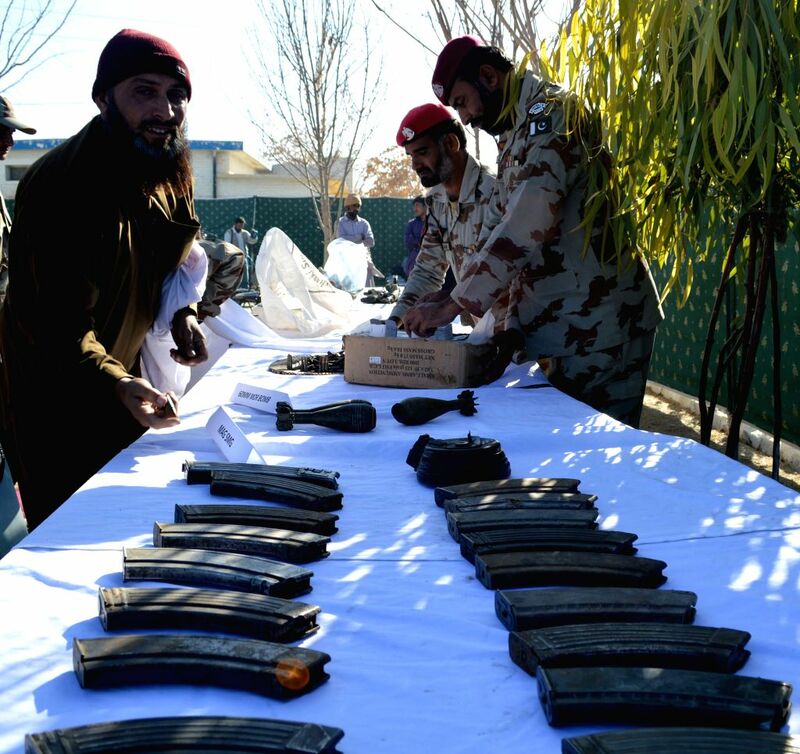 Quetta: Pakistani paramilitary Frontier Corps officers display explosive materials seized during an operation in southwest Pakistan's Quetta, Dec. 4, 2014. 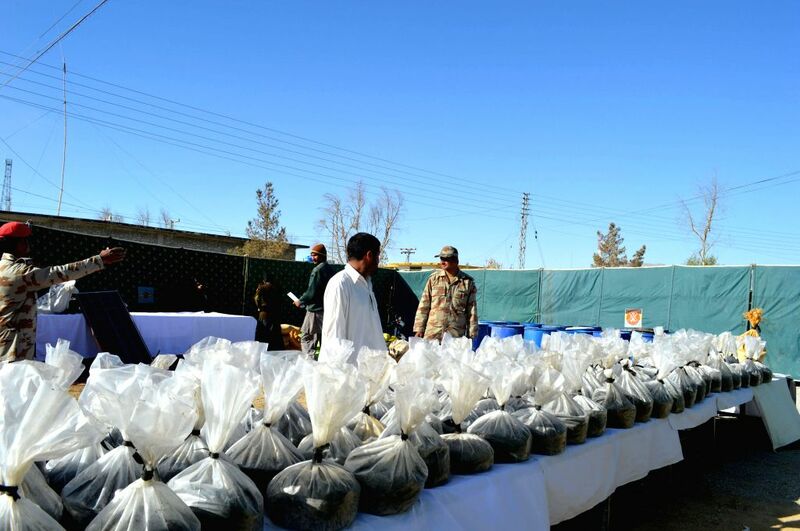 Frontier Corps recovered huge quantities of explosive materials, detonators, arms and ammunition during an operation in Qila Abdullah and Mastung area near Quetta on Thursday, local media reported. 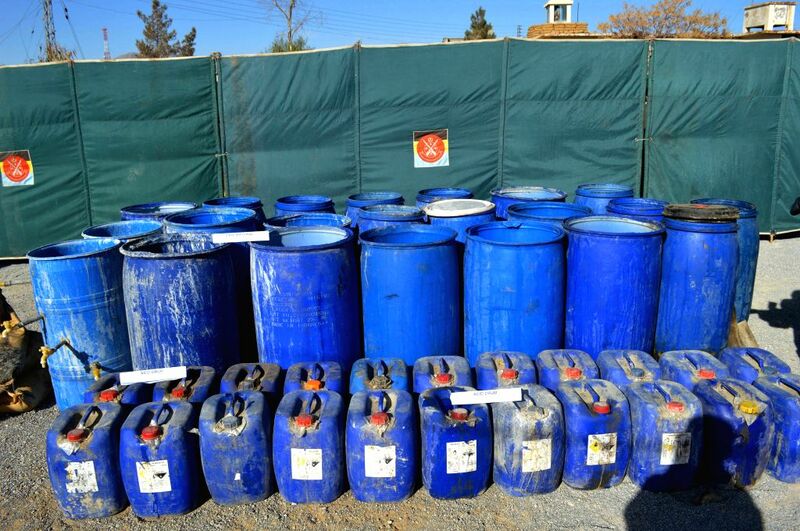 Picture taken on Dec. 4, 2014 shows explosive materials seized during an operation in southwest Pakistan's Quetta.